The Community College System of New Hampshire (CCSNH) and Granite State College share a commitment to address the most pressing workforce development and health care needs of the State of New Hampshire. The “RN to BSN Pathway Program” was created in 2014 to provide a seamless, affordable, and efficient bridge between the State’s two public higher education systems for students pursuing a career in Nursing. New Hampshire residents who are CCSNH graduates with a conferred Associate Degree in Nursing (ADN) will receive scholarships that reduce the per-credit cost of tuition to a rate equal to the CCSNH tuition rate when they’re admitted into our RN to BSN Pathway Program. Deliver safe, competent, and compassionate care within frameworks of law and ethics to patients, families, and the diverse groups of a community. Be productive citizens characterized by significant contributions to society that are enlightened by knowledge of health care policy and politics and how they affect health care and nursing practice. Advocate locally and nationally for social justice and equity in healthcare accessibility and quality. Use a variety of technologies to intervene in health-related problems of individuals, families, communities, and within the health care system. Identify, evaluate, apply, and/or compile evidence from a variety of resources to apply to health-related problems of individuals, families, communities, and the health care system. Collaborate as member and/or leader of teams characterized by effective communication and mutual respect that enhance the quality of health care services and their delivery. Applications for admission are accepted on a rolling basis, offering the opportunity to begin studies at Granite State College at any term during the year. Admission is granted to students who earned a high school diploma, completed a high school education in a homeschool setting under state law, or demonstrate high school equivalency. Students with an associate degree in nursing from a CCSNH institution are eligible for this online degree pathway. This affordable option allows students to continue their undergraduate studies toward a BSN degree at Granite State at a reduced tuition rate for in-state residents. Students may be conditionally or fully admitted depending upon their status. CCSNH graduates with a conferred Associate Degree in Nursing (ADN) may be conditionally admitted to Granite State prior to passing the NCLEX-RN and will have the option of taking additional non-major courses and their first nursing course (NUR 600) while conditionally admitted. CCSNH graduates with a conferred ADN who are fully admitted to Granite State have completed the National Council Licensure Examination (NCLEX-RN) and have an active RN license issued from the state where the student is currently practicing. An applicant with a bachelor’s or master’s Degree in another discipline will be required to take only the 30 credits of nursing courses and MATH 504 Statistics will be required if not satisfied in transfer. Please see the Granite State College Catalog for details related to the necessary health, character, and technical standards to succeed in the Bachelor of Science in Nursing Program. In order to progress through the program, the student must earn grades of 2.0 or better in each required course and maintain RN licensure in the state where they practice. Our RN to BSN Tuition Waiver is available to New Hampshire’s community college graduates. Eligible students pay the same affordable CCSNH tuition per credit for all courses in the RN to BSN program.The waiver amount will be updated each term to reflect any changes in the CCSNH rate. If you have any questions on how the charges will be reflected on your bill, please contact our Student Accounts Office. 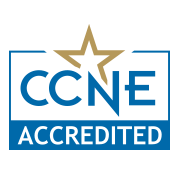 The baccalaureate degree in nursing at Granite State College is accredited by the Commission on Collegiate Nursing Education (http://www.aacn.nche.edu/ccne-accreditation). Request information to learn more about the CCSNH partnership and our team will personally reach out to address your questions. Registered Nursing is the top occupation in terms of career growth. More than 45.1% of employers require new hires to have a minimum of a bachelor’s degree, while 79.6% express a strong preference for BSN graduates, according to the American Association of Colleges of Nursing. Further career advancement into leadership positions can be achieved by pursuing a master’s in nursing.